The Bryant & Stratton College, Cleveland campus library has a newly updated library website. Created using the LibGuides CMS, the website includes tabbed navigation to multiple subject collections, easy access to the library’s eBook collections, and user-friendly access to the library’s databases. The new library website features ease of access from multiple device and screen types and quick email access to the campus librarian from any screen. Joseph Dudley presented “Collection Development at Bryant & Stratton College, Cleveland Campus” at the Spring 2015 ACRL LF-PEI Virtual Conference (Librarianship in For-Profit Educational Institutions), on May 7, 2015. Elizabeth Meinke was hired as Scholarly Resources & Special Collections Librarian on March 30, 2015. Learn about Kelvin Smith Library’s strategic vision for advancing research, teaching and learning at Case Western Reserve University in the latest issue of KSL Connects, available now online. Discover what “a day in the life” of a research services librarian entails, explore exhibits and events, envision redesigned library spaces, celebrate faculty authors and more. View the magazine now at: http://library.case.edu/ksl/aboutus/connects/. Arnold Hirshon, Case Western Reserve University Associate Provost and University Librarian, was the co-facilitator of a three-day Library Leadership Institute on “Leading the Next Generation Research Library.” The Institute, which was organized by the University of Hong Kong Libraries, was held in Xiamen, China from April 24-27. Hirshon’s sessions concentrated on aligning with and strategically managing within the academic environment, achieving strategic change through the effective organization of human resources, and achieving library goals through the effective allocation of financial resources the redesign of facilities, operations and services. While in the region, Hirshon was also invited to give lectures in three other cities: Taipei, Taiwan; Hong Kong; and Bangkok, Thailand. His topic at those three conferences was on driving intentional change through strategic redesign. provides services to build country consortia, to engage in advocacy for effective copyright legislation, to advance the availability and use of open access publications, and to engage in technology innovation. More information about EIFL can be found at www.eifl.net. Amanda Koziura, Digital Learning & Scholarship Librarian, was elected as an ALAO board member and will take office in July 2015 as Public Relations/Outreach Coordinator. Kent State Special Collections and Archives has recently made new digital content available including thirteen recently released oral histories related to the Kent State Shootings of May 4, 1970. More information is available in the Libraries’ newsletter: http://libguides.library.kent.edu/content.php?pid=657543&sid=5467439#may4 . Also, newly available this spring are the campus newspaper issues from the 1950s and the 1970s. The Digital Daily Kent Stater now includes access from fall 1939 through fall 1979. The 1980s decade is currently being put into digital format. Access is available at http://www.library.kent.edu/dks . arm of the National Archives and Records Administration through their State and National Archival Partnership Grants program. The project will digitally capture all of the reel-to-reel audio recordings in the May 4 archive, which contains primary, archival sources related to the 1970 Kent State shootings and their aftermath. Jan L. Anderson, Catalog/Reference Librarian at Malone University will be retiring from the Everett L. Cattell Library staff at the end of August. She has been employed in various roles in cataloging, reference, and interlibrary loan since June 1972. National Legislative Day in Washington D.C.
As Government Relations Liaison, I attended National Library Legislative Day (NLLD)in Washington D.C. Sylvia Halladay, the winner of the ALAO Legislative Day Travel Award, also attended the conference with the Ohio delegation. As always, I would like to extend a thank you to ALAO for supporting our travel to this important event. On May 4, myself and Sylvia attended a set of briefings organized by the American Library Association’s (ALA) Washington Office. We were members of the Ohio delegation which was made up of 13 people that included academics, public librarians, trustees, and educational lobbyists. William Morris of the State Library of Ohio headed the state delegation and did an excellent job in coordinating the states efforts at the conference. While mostly attended by public and school librarians, the presence of academic librarians was up this year with nearly 30 participating. http://www.ala.org/advocacy/advleg/nlld. At the end of the day, a get together of attendees was held in the Armed Services Hearing Room in the Dirksen Senate Office Building. May 5 was legislative day and was mostly spent on Capitol Hill. In course of the day, I had the opportunity to meet with staffers for Representatives John Boehner (R-OH-8), Jim Jordan (R-OH-4), Bill Johnson (R-OH-6), and Pat Tiberi (R-OH-12). Myself and the rest of the delegation met with a legislative aide for Senator Sherrod Brown (D-OH) in the late afternoon. The issues discussed at the meetings included LSTA, the USA Freedom Act, E-rate, FASTR, depository library funding, and net neutrality. Besides my efforts, other Ohio advocates were able to get out and meet most of the state’s congressional delegation. Like last year, it was wonderful to help the profession get outs it’s message through the NLLD event. As in prior years, a big thanks needs to go out to the staff of the ALA Washington Office in organizing this grassroots opportunity and in lobbying full-time for the interests of libraries. University and her M.L.S. from Indiana University-Purdue University Indianapolis. The Ohio Library Support Staff Institute (OLSSI), won ALA’s H.W. Wilson Library Staff Development Award. With it, we’re hiring two instructors to teach a total of four classes on staff development and supervisory skills. with the supervisory track in mind. OLSSI 2015 will be at Baldwin-Wallace University in Berea this year, July 26 – 28th. The complete list of this year’s classes can be found at http://www.OLSSI.org. 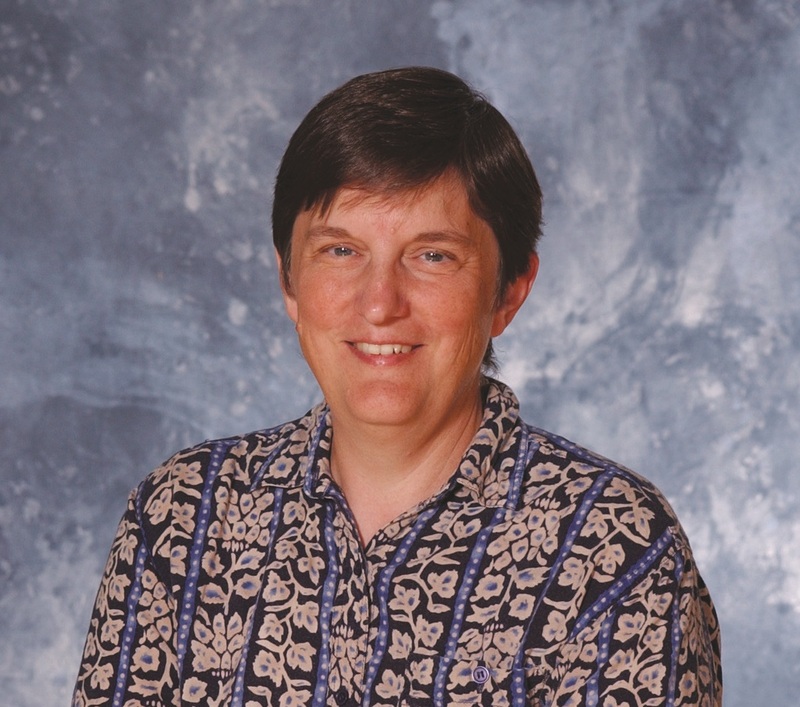 Lois Szudy, is retiring as of June 30, 2015 after 25 years of service as Library Director at Otterbein University Courtright Memorial Library. Prior to coming to Otterbein, Lois served as the Head of Technical Services at Ohio Wesleyan University from 1979 to 1990. Lois has been an active member of ALAO, having served on numerous Program Committees, presenting at a number of annual conferences, and serving as a Board Member, Vice President, President, and Past President on the ALAO Board. She won the Jay Ladd Distinguished Service Award in 2006. Lois is looking forward to retiring and having time to do all the things she enjoys most. ALAO Annual Conferences and Instruction Interest Group workshops. The winner of the 2015 Research & Publications grant is Jane Wu, Systems Librarian & Associate Professor, from Otterbein University. Her project, titled A Comparative Study of Information Experiences in U.S. and Chinese Academic Libraries, received the full $2,000 funding. The site, which features a more user-friendly interface, improved site navigation, and enhanced search functionality, was designed and developed by IdeaBase, a Kent State student powered design firm based in Kent, Ohio. The site.offers Ohio residents, state government employees, and libraries across Ohio improved access to library resources and services and is the result of a yearlong collaboration between IdeaBase, Kent State University School of Library & Information Science and the State Library of Ohio. The project encompassed research with stakeholders and usability testing, design, development and user focused content strategy. The site has a scalable interface that adjusts to any device, allowing State Library users to fully engage the website from their phone, tablet, or computer. The IdeaBase team developed a custom design template within the WordPress content management system to reinforce the library’s brand and allow for faster content editing. The IdeaBase team members on the project included Kent State students from the College of Communication and Information, with specific focuses in Advertising, User Experience Design, and Visual Communication Design, as well as the College of Business’s Computer Information Systems program. Jeffrey A. Franks has been promoted to full professor at the University of Akron. Jeff is in the University Libraries department of Research and Learning Services. Anita Slack, Reference & Instruction librarian at Ursuline College has been accepted and will be attending the ACRL Information Literacy Immersion Teacher Track Program in Seattle from August 2-7, 2015. She has been awarded a a travel grant by the Ursuline College Professional Development Committee to fund the opportunity. The assessment team at Wright State University Libraries has completed the first stage of a large building use study and will be presenting “Driving the BUS: Building use study and space assessment at Wright State University Libraries” at OHIONET’s Dive Into Data conference at the Holiday Inn Worthington on Friday, July 17, 2015. The reference and instruction department is preparing for the second year of the Research Toolkit workshop series. The workshops were developed in response to Project Information Literacy’s report on the research skills of first-year college students and local assessment data, and have been well-received and supported by faculty members, students, and administration. The workshop slides are available on CORE Scholar at http://corescholar.libraries.wright.edu/ref_workshops/. This summer, the department will begin work to put the workshops online. Cutting Tool, and associated supplies. The upcoming Conference is scheduled for July 24th, 2015 at Northeast Ohio Medical University (NEOMED) Rootstown, OHand is open to all Faculty and Administrators; Diversity Professionals; Student Affairs Personnel; Senior Executives; Multicultural Programmers and K-12 Administrators. Dr. Derald Wing Sue, Professor of Psychology and Education Teachers College at Columbia University will join our July 24th ODOC Conference as our lunch keynote speaker. Dr. Sue has developed the first categorization of conscious and intentional actions, slurs and racial epithets, even as unintended slights or social cues, when dominant groups attempt to subordinate minority groups, make them uncomfortable, marginalize, and inflict a mental, emotional and even physical toll. We are also pleased to announce that our morning speaker will be Dr. Lonny Rivera Associate Superintendent of Ohio Department Of Education, who will speak on Best Practices that can be implemented to develop a pipeline for Latino and Minority students and improve recruitment, persistence and graduation rates. Ms. Lenore Pearlstein publisher and founder of Insight Into Diversity Magazine will be our afternoon speaker sharing national diversity trends. Join us at our ODOC Conference where we will focus on Shifting Gears: Challenges and Solutions. The 2015 PA Forward Information Literacy Summit Planning Committee is pleased to announce that registration for our July 29, 2015 Summit – “Framing the Value of Information Literacy” – is now open at http://www.palibraries.org/event/2015PAFILS. You do not need to be a member of PaLA to register and attend! ACT 48 credits will be available for those who need them. Our thirteen breakout sessions have also been finalized, and you can find full details on the registration site under Breakout Session Descriptions & Presenter Information. If you would like to book a room at the Nittany Lion Inn, we have secured a discounted Summit rate. Reservations must be made by June 28, 2015. More information about the program, hotel discount code, and parking at Penn State are available on the reservation website under Program Details, Description, Parking, & Hotel Information. Registration will remain open through July 29, or until capacity is reached. Please visit http://www.palibraries.org/event/2015PAFILS for more information! PaLA! And if you are a member – thank you! The speakers have been confirmed and the schedule is set to Dive Into Data with OHIONET on Friday, July 17th. Join us for our day of learning and networking at the Holiday Inn Worthington! We kick off our day at 9:30 AM with a keynote talk from Ohio’s own State Librarian, Beverly Cain. And the day will wrap up with a high-energy talk from Anastasia Diamond Ortiz (Cleveland Public Library) and Laura Ponikvar (Cleveland Institute of Art). To see who will be sharing their insights during our three breakout sessions (with 5 sessions to choose from during each time slot), head to the conference webpage at http://www.ohionet.org/dive-data. Looking for new ways to learn, network and kickstart ideas with change-oriented librarians? So are we. Join a group of next-generation practitioners for our second annual low-cost/high-impact gathering that encourages collaboration and sharing among the field’s brightest and most innovative librarians and library practitioners. We’re excited to announce our 2016 theme: Adopt, Adapt, Evolve: Reinvigorating & Rejuvenating Our Libraries. Our unique “Session Picker” is now open for proposal submissions and public voting/comment. Submit your ideas and vote on sessions you’d like to see until August 5th! This entry was posted in Vol. 33 no. 2 (June 2015). Bookmark the permalink.